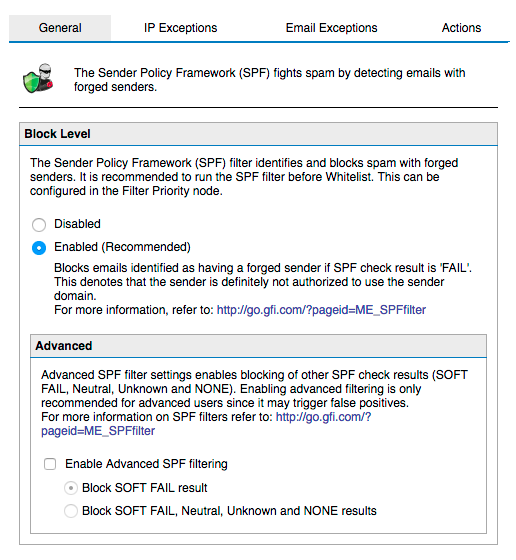 Sender Policy Framework (SPF) is a simple email-validation system designed to detect email spoofing by providing a mechanism to allow receiving mail exchangers to check that incoming mail from a domain comes from a host authorized by that domain's administrators. 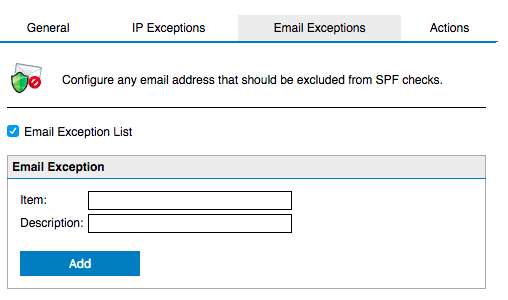 Even thou SPF does have a lot of it's own issues most large companies use it and it allows to filter out a lot of spam. 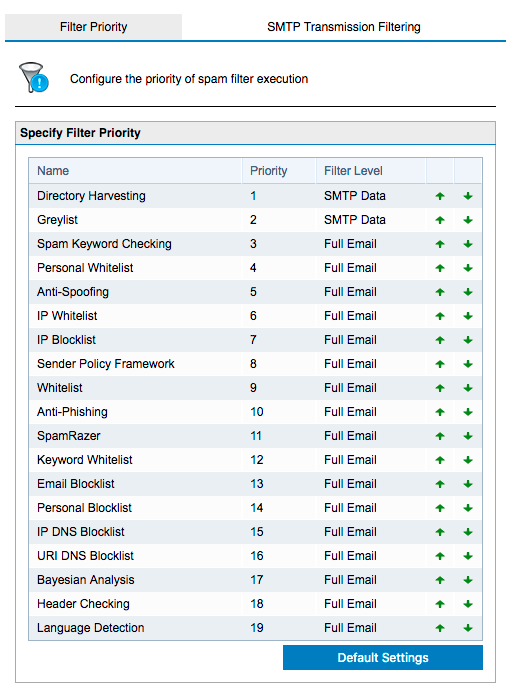 GFI Mail Essentials 20 does support SPF and it does so on two levels. 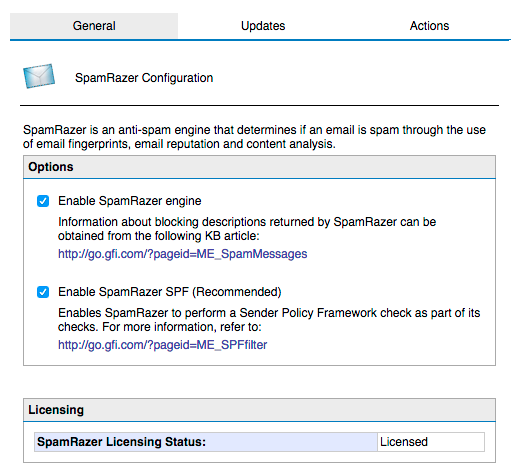 Imagine my surprise when I started seeing properly configured SPF for e-mails yet GFI reporting them as spam. All those domains for gfi.com, microsoft.com, facebook.com or gmail.com most likely will fail GFI SPF testing… They even have have GFI voting system to support full RFC Specification for SPF. Don't hold your breath that it gets implemented anytime soon thou. So what to do until they add it properly? The only way to go for now is either disable it totally or add those domains to SPF Exception list (either by IP or e-mails – with wildcards being supported). You should be aware that adding a domain to whitelist (whitelist ip, whitelist email or personal whitelist) will not skip SPF checking (unless SPF checking is below whitelist).